4/19/18 – After arguably the most decorated tenure in the history of New Bern football, Bobby Curlings has decided to resign from the head coaching position with the Bears. 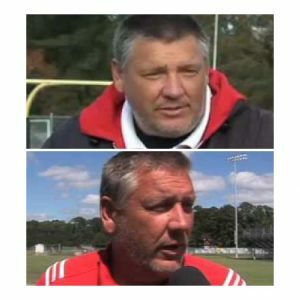 The man charged with filling the vacancy left behind after his coaching mentor and beloved New Bern head coach Chip Williams resigned from the job, Curlings not only continued his predecessors standard of excellence on the gridiron but carried the program into an even higher stratosphere of success. Winning over 100 games, 7 outright conference championships, plus 4 shared conference crowns , 5 eastern regional finals appearances and 3 state championships. The real payoff in the 12 years as head coach ,the Bertie native would insist ,has to be the hundreds of kids who made the transition into manhood through the program, 50 of which went on to play football in college and 3 made it to the NFL ( it will be 4 next week without question when UCF DB Mike Hughes is drafted) .